The Mercedes-Benz Unimog truck is now available in LEGO form. The new kit is the biggest TECHNIC kit ever made, with 2,048 pieces. 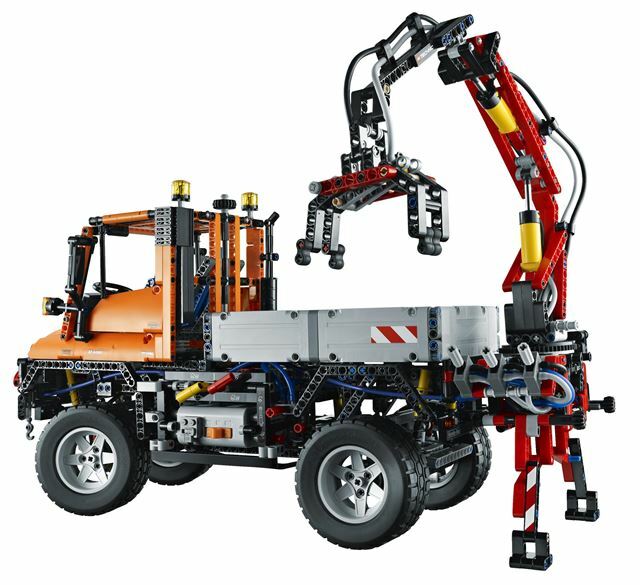 It includes a fully functional gripper and pneumatically operated crane, front winch, snowplough, full suspension, four wheel drive, functional differentials and a reproduction of the engine accurate right down to moving pistons. It’s a LEGO fans dream come true. 2011 marks the 60th anniversary of the Unimog, or Universal Motor Gerat, and more than 380,000 have been sold since it was introduced. Mark Hopkins, Unimog UK sales manager calls the scaled down LEGO Unimog “the ultimate toy.” It’s available exclusively from Argos and LEGO stores and costs £154.99. If you could build a LEGO kit of any car or truck, what would it be? Let us know on our Twitter page.